I just thought I would let you know that I got the job I wanted. Felt quite relaxed doing the presentation. This job will mean doing a lot more of it so I am sure I will want another session or two later. Elaine, London, UK - Hypnotherapy for Public Speaking (via Skype). ﻿Do you want to be a confident Public Speaker? Do you get palpitations at the thought of speaking in a group? Were you the shy one at school? Who even if you knew the answer never raised your hand? Do you miss out on opportunities at work for fear of looking silly? Do any of these happen when you are asked to speak in public? It's time to stand up, raise your hand, and be heard, clearly and confidently. *results vary as each session is individual. Tell me a little more about hypnosis for public speaking? 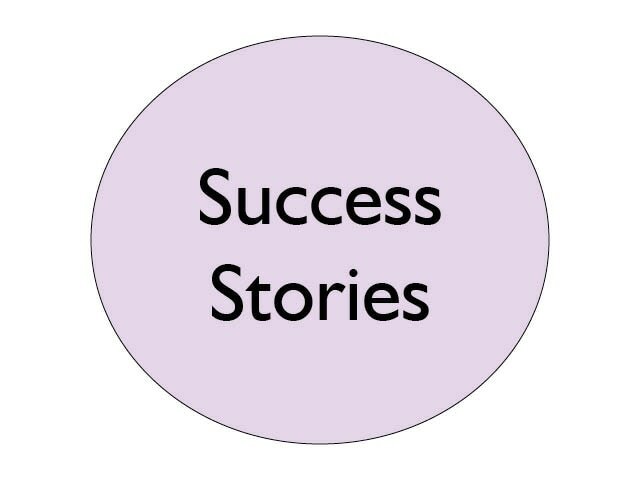 Testimonial from a public speaking client. This year I was invited to talk on stage at the annual conference as an expert panel contributor, and for the first time ever I thought – OK, why not! I was asked a couple of months ago, and haven’t dwelled upon it, haven’t panicked about, and in all honesty didn’t really think about it. Normally it would have been on (and in!) my mind all the time worrying about what an embarrassment I would make of myself running out of the room or fainting! Nowadays I feel different. I feel as if those thoughts are behind me, and I haven’t had a panic attack since we met. Those thoughts have been largely replaced by the positive imagery you instilled into me. So, thank you from the bottom of my heart. Without your therapy I wouldn’t have got to where I am today. Regularly in environments where I would normally have feelings of panic, I now don’t. I can’t say that I’ll never have a panic again, but it feels like that is now a thing of the past - and the fact that I feel like that and think like that, surely means it is! I could/should add that I did a train the trainer course earlier in the year to conduct first aid basic life support training. I've run about 4 or 5 of these for the staff now and always felt comfortable. A far cry from the MD 2 years ago that panicked when doing the 15 min intros to our staff induction training! "I'm shy. I could never talk to a group of people. I have proved myself wrong." - Becky Wells. ​Becky speaking to a group of sales people in a talk called "fear of the phone".
."I cannot thank you enough. The weekend went well. I was apprehensive to start with, but as time went on I gained more confidence. During last night’s meeting I was even more confident and I chose to use my own words in my speech, rather than what I had written down. 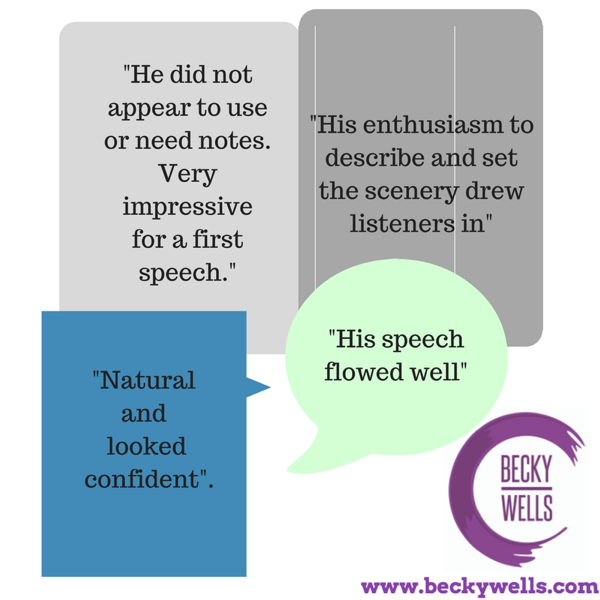 Harry, West Sussex - Hypnotherapy for Confidence in Public Speaking. It's about being yourself. It's good to have anxiety when you are in control. It keeps you safe. We can deal with anxiety through hypnosis. 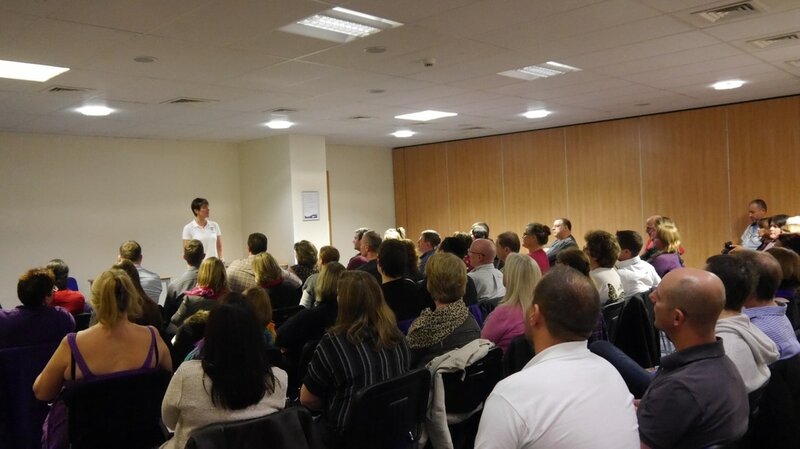 Debbie, Crawley - Hypnotherapy for Public Speaking. John, Surrey, UK - Hypnotherapy for Public Speaking. Elaine, London, UK - Hypnotherapy for Public Speaking.